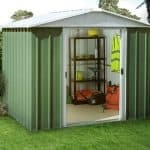 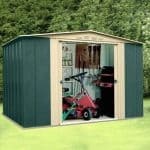 This 6 x 3 metal security shed is entirely weatherproof. 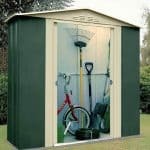 This means you don’t have to worry about rainwater affecting the building. 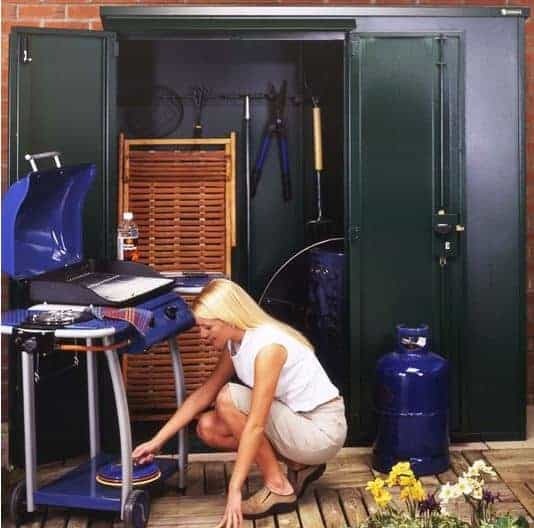 You therefore have the durability and high quality built in. 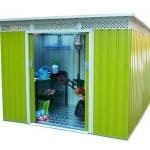 The unit also benefits from free UK delivery being offered. 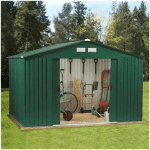 It is a high-quality security shed and this is reflected in the manufacturer’s guarantee that lasts for 10 years. 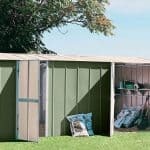 A great looking unit that provides protection for your items all year round.